Home What Is The Best Personal Attack Safety Alarm? What Is The Best Personal Attack Safety Alarm? One of the more overlooked EDC/everyday carry items that a person can have is a personal attack safety alarm. Many people neglect to carry such a device because they figure that the most important personal security tools to carry are weapons, whether it be a concealed carry firearm, a knife, a tactical pen, or pepper spray. As we will soon see, there are many different kinds of safety alarm devices on the market, and they can be activated by a variety of different means. 1 Why Use A Personal Attack Safety Alarm? 2 What Types of Personal Security Alarms Exist? 3 What Qualities and Features Do You Need To Look For In A Personal Safety Alarm? 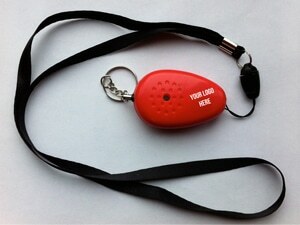 Why Use A Personal Attack Safety Alarm? 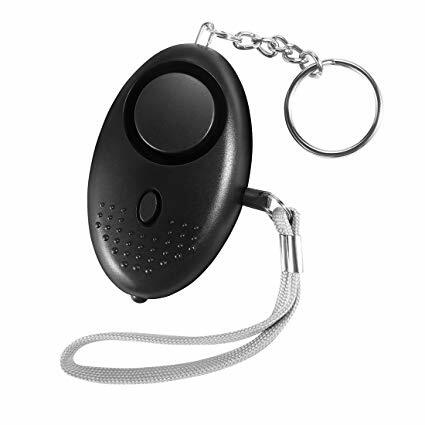 Ultimately, a personal attack safety alarm is quite arguably the very best device that you can use to draw attention to you if you are ever attacked. While extremely small and lightweight, most personal attack safety alarms on the market are also quite loud and can reach sounds of over a hundred and twenty decibels. 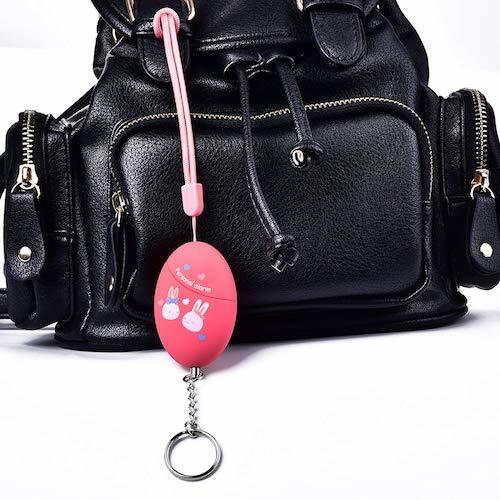 Therefore, not only can a personal attack safety alarm be used to draw attention to yourself if you are attacked, but it can also be used to disorient an attacker temporarily, and give you precious time to get away. That’s also not to mention that safety alarms are legal just about anywhere. Depending on the country, state, or city that you are in, the laws can vary considerably when it comes to which kinds of self-defense weaponry you are allowed to carry on you. In fact, under current legislation in the United States, citizens have the right to buy and utilize personal alarms against violent physical encounters. Is all of this to say that a personal attack safety alarm is the solution to all of your problems when it comes to self-defense? No, but it is to say that it would undoubtedly be an invaluable asset to have with you in a self-defensive situation, and therefore a good item to have as a part of your everyday carry. What Types of Personal Security Alarms Exist? A back clip alarm is designed to slip over your belt, where it can be easily accessible. To activate the alarm, you will then need to remove a pull cord. The alarm will continue to scream until the cord has been re-inserted into its former place. These, as the name suggests, are carried on your keychain. They are convenient, and you always know that you’ll have it with you if you have your keys with you. Snap buckle alarms are designed to attach directly to a backpack or messenger bag or purse. It then uses a pull cord which, when removed, will sound the alarm. What Qualities and Features Do You Need To Look For In A Personal Safety Alarm? Regardless of which basic type of personal safety alarm you choose to go with, or which specific make and model you go with like we will talk about later in this article, there are certain qualities and features that you will need to look for. There are two basic kinds of personal alarms: battery powered alarms and gas alarms. Between these two, battery powered alarms are far more common and convenient, and therefore the superior option for the average everyday person. Next, obviously your alarm is going to need to be loud, in order to disorient attacker and warn other people around you that you are in danger. As a golden rule, your personal attack safety alarm should have a noise level from 110db up to 140 db. How easy is your personal attack safety alarm to use? This is a major question that you will need to ask yourself, because you need to be able to access it quickly and activate it quickly if need be. This is why perhaps the best kind of safety alarm to go with should be one with a push button mechanism, which would be easier (or at least faster) to use in contrast to one that utilizes pulling a pin or cord. Not only does your alarm need to be very easy to carry, it also needs to be easy to carry, and also very easily accessible. We’ve always covered some of the main, basic types of personal attack safety alarms, and how they can be clipped to your backpack or purse, strapped to your belt, or attached to your keychain. The method you use is going to need to be easily accessible to you, but it’s also going to need to be based on your personal preference. 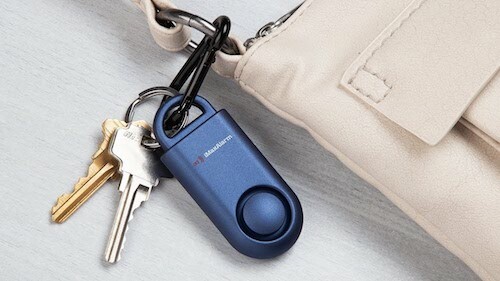 Many people prefer the keychain panic alarm just because they know that they will always have it with them when they grab their keys, and also because packing it in a pocket means that it should be easily accessible as well. 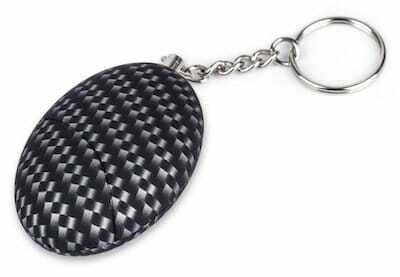 The Idaye Personal Alarm Keychain is a very stylish personal attack safety alarm and it’s also incredibly loud. It will do a very great job for attracting attention very effectively. It’s also incredibly small and will fit well in a pocket. Its small size also means that it will be a good choice to give to a child as well. The Safe Sound Personal Alarm creates a hundred and thirty decibels, which is more than enough sound to create plenty of noise over long distances. 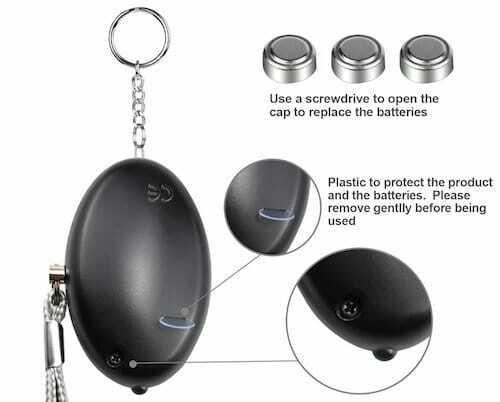 This alarm system is also a keychain alarm, meaning that it’s designed to be attached to a key ring. As an added bonus, it also comes installed with an emergency flashlight, which should undoubtedly be convenient in a few different scenarios as well. One downside to this alarm is that it is not waterproof, and if it gets wet the manufacturer advice you to get ti dry as quickly as possible. Furthermore, many users have found that the Safe Sound Personal Alarm is also not the most durable personal alarm on the market, for the reason that it is predominantly made out of plastic. 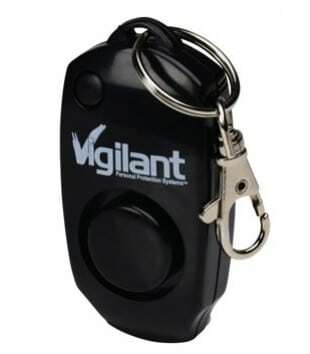 Just like the Safe Sound Personal Alarm, the Vigilant Personal Alarm creates noise equivalent to 130 decibels. This alarm is a pin system, meaning that you need to quickly remove a pin from the alarm in order to activate the noise. To conclude, do you need to get a personal attack safety alarm? You probably don’t have to have one, but it would undoubtedly be a valuable item to have in your everyday carry for self-defense. In some scenarios, the best defense will not be to draw a weapon, but rather to draw the attention of other people to you, so that whoever is attacking you will become intimidated and flee. At the very least, a personal attack safety alarm device of some kind, including any of the three make and models that we have covered here today, could get you out of trouble in defensive situations where you are not allowed to have weapons on you for defense.